If you have ambitions to be a successful person who lives a life of freedom, listen up – – – you may be going about it all wrong. Too many people link success to money and fame, never appreciating what it means to YOU. Having interviewed A LOT of successful business leaders, I’ve discovered what it means to be successful, and although these inspiring individuals do share certain qualities, none of them surround money or fame. A special gift to help you TODAY! Too many people think successful business leaders and entrepreneurs are born that way and destined for it. WRONG!! There isn’t a secret formula or a tool you can buy, but there are a set of qualities that’ll help you get there. You ready to learn what these are? Successful business leaders and entrepreneurs don’t hide their success or failures, and don’t worry about people stealing what they have. They’re open and transparent because they believe in what they offer, and know so long as they stay true to who they are and what they bring to the table, they don’t have to worry. They’re open and sharing, and invite their staff, customers, and anyone who wishes to be part of their journey into their world. Top Turndog Tip: Share something that scares you (a failure or mistake) with your customers today. Successful business leaders and entrepreneurs continue to search for new ways to give each and every day. Whether this involves offering customers greater value, giving them something new, or surprising a fellow entrepreneur, successful people give far more than they take. This isn’t to say they don’t need help from others, but they appreciate so long as they give and are generous, future successes follow because of this. They don’t panic and take too much. They don’t spam or annoy. They give whenever they can, and they do so because it brings value to both those they serve. Top Turndog Tip: Surprise someone with a gift today. It doesn’t have to be expensive, just a simple gesture to a customer or friend. Successful business leaders and entrepreneurs don’t suffer through their work. They’re passionate about it and love to both create and serve. That’s not to say they don’t have bad days or hate certain aspect of their business, but they never lose sight of their passion, their freedom, and the journey they’re on. 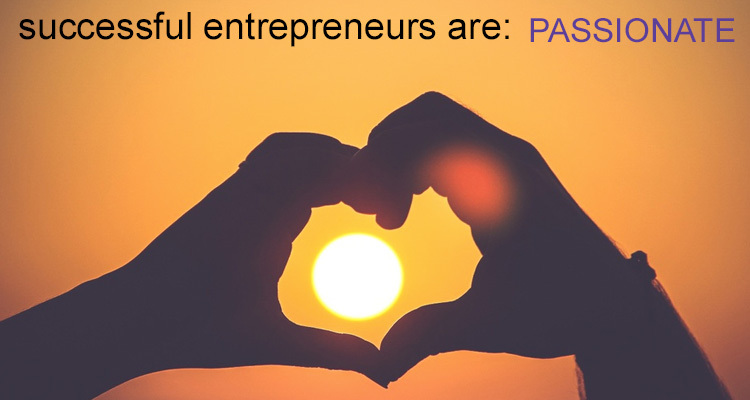 Passion breeds optimism and positivity, not only benefiting you, but those around you, too. Top Turndog Tip: Write a list of 10 things you absolutely love and are thankful for. Do it. Do it right now! You may assume successful business leaders have ego and excess amounts of self confidence, but successful entrepreneurs are amongst the most humble you’ll ever meet. They appreciate what they have, those around them, and the journey they’re on. They understand how quickly things can change. Successful people are humble because they appreciate their success isn’t solely down to them. This breeds their giving and passionate nature, and ensures they continue to grow and better themselves. Top Turndog Tip: Call someone on the phone you appreciate and who’s helped you get to where you are. Thank them. Speak to them. Don’t text or email. Pick up the phone. Although successful business leaders are extremely ambitious, they remain realistic and patient about what they can and can’t do. They keep focus and their eye on the prize, knowing that they don’t have to achieve everything they want to today. Remaining realistic allows them to remain calm and collect, which inspires those around them. They expect a lot but never too much. They understand their goals and vision, but more important than this, they understand how they’ll reach them. Top Turndog Tip: For once, don’t focus on everything you need to do… rather, write down what you’ve achieved in the last week. Be proud of this and set tomorrow’s to-do list on the back of it. Successful business leaders are among the most vulnerable of us because they understand how inevitable mistake and failure is. This isn’t to say they don’t struggle through adversity, but they’re not afraid of it. They value it and embrace it the best they can, always ready to transform a bad situation into their best idea yet. They know they’re not perfect or that everything will turn out as they expect, but this doesn’t stop them from living their dream. They appreciate stress and pain is part of their adventure, and don’t try to pretend this doesn’t exist. This makes them vulnerable yet strong because it gives them the strength to better understand their version of success. After interviewing 163 successful business leaders & entrepreneurs for my up-coming book, The Successful Mistake, this is what I’ve learned about the qualities successful people share. Of course these only scratch the surface, but the good news is, successful people aren’t born that way. You too can be a huge success story, and my mission is to help you achieve this. This is why I’ve written The Successful Mistake, but before you commit to the book you may like to take action TODAY — which is why I write this short guide for you: DO NOT Do These 11 Things If You Wish To Be Successful. Although short (it will only take you 7 minutes to read), it’s full of real… valuable… practical advice from the world’s finest business minds, showing you what they do and don’t do, and how you too can learn their successful ways. It’s full of valuable content designed to help you succeed and grow. And if you have any questions or would like chat, reach out to me on TWITTER or FACEBOOK. Speak soon, my go-getting friend.